Never trust the quiet ones! 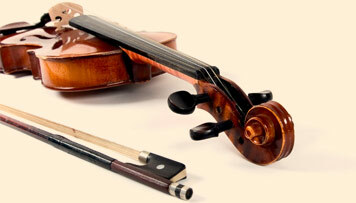 Just this past week I had a breakthrough with one of my private violin students. Not only did she speak to me, but called me by name. This is a child who had not spoken to me since she started lessons in September. This is not the first time I have had a student who would not speak to me. I had another who did not speak for about two years. The thing I find interesting with quiet students is that often their parents try really hard to get them to talk to me. I actually have no problem with non-speaking students. I relate to these children! When I was a child I was extremely shy. I did not speak to my teachers unless it was absolutely necessary, certainly did not talk to my neighbours, and often managed to get my teachers to let me stay inside during recess. This was my public face. At home I was a talkative, bubbly child. It was always a surprise to my friends to come over to my house and see me in my home environment. My mom was telling me the other day that she thinks I was in junior high before I actually spoke to any of our neighbours. With my students, I always try to give them the time and space to become comfortable with me and to start speaking on their own terms. There has so far always come a time when the child has started speaking, in both cases calling me by name. Even as a person who is shy by nature, it still surprised me, however I did my best not to react too much. Nothing will make a shy child clam up more than someone making a big deal over him/her speaking! I know that for some people who are more outgoing it is odd to run into someone who is not interested in speaking a whole lot. With most children, it really is just a matter of time and comfort. I went from being a very shy child to now being a musician and teacher. I have been self-employed for at least 6 years now and have to be in communication with others all the time. I love being on stage and in the spotlight. You never know that a child will end up doing later in life! Hi Katherine! I too was a shy kid. I went to Saint Dunstans School – bottom of Regent. My Mum used to tell me to go out & play with the other kids rather than stay in my room. I didn’t do that all the time though. At school I stayed by myself for the most part. I wouldn’t say boo if you forced me too. I was sent to boarding school when I entered Grade 9 & thus began the process of me coming out of my shell. Today you can’t shut me up!!!!!! Thanks for your newsletters by the way.